Spring Transition Favorites - craving currently. We finally saw some real sunshine and warmth this week and it had me doing an internal (potentially external too) happy dance. It also gave me the opportunity to wear some of my favorite items that I’ve had sitting in my closet the past few weeks. With the expected rise in temperatures again this upcoming weekend I figured what better time than now than to share some staples I’ve recently added to my rotation that I’ll be wearing as Spring continues to sneak up on us. Really anything high waisted right now has gotten my attention and these shorts are no different. Perfect with an oversized sweater or even with a body suit as we shift into summer. Unfortunately these exact shorts aren’t available anymore but I’ve linked some of my other high waisted favorites! Straw bags snuck into my closet last year when I snagged one from Gigi Pip but I just couldn’t resist when I saw this one. It’s the perfect size and the right compliment to any Spring outfit. You can find this one at Hello Addie in Federal Hill. If you’ve been following along on instagram you’ll remember I stopped into the Mint + Major pop up at Hello Addie a couple weeks ago. The temptation was real. Hence my next two Spring staples. I remember a couple years ago anything pointed toe was a big N O from me but now I can’t have enough. 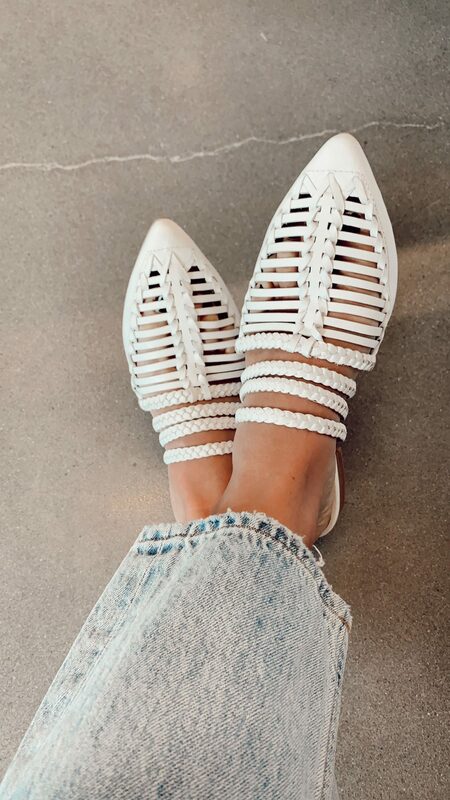 These flats are not only comfortable but they add a little something to an ordinary outfit. I can’t tell you how many compliments I’ve gotten on them. Pro tip: Since they are pointed toe size up one full size. 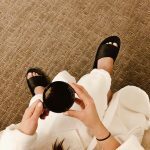 Melissa, from Mint + Major, schooled me in the shoe department when I got them and helped me realize I needed to size up to avoid trying to push my feet forward in these mules. Shop these mules at Hello Addie in Federal Hill! Do I really need to go into detail here? I’m loving the cropped look of this tee and how casual it is here. 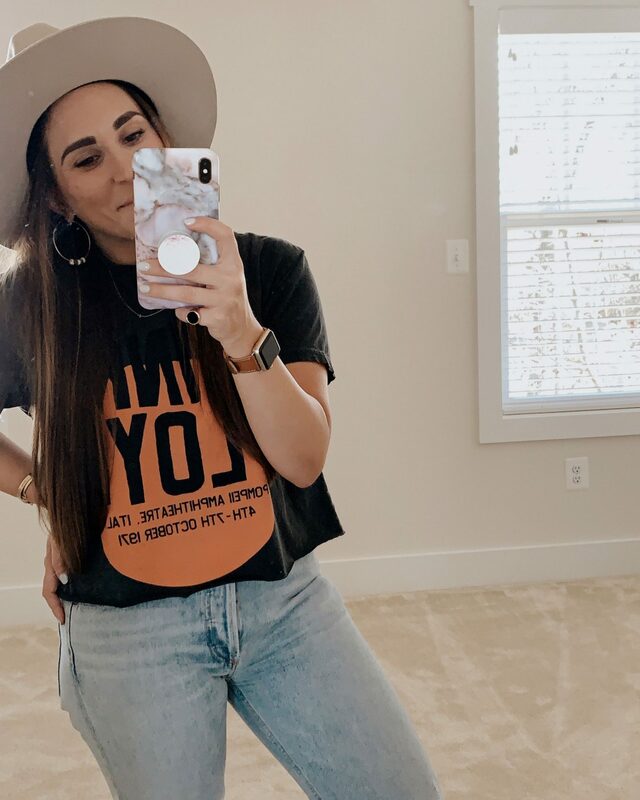 But the best part with any vintage tee is if you throw a blazer on top it will immediately dress it up a bit but still have a trendy feel to the look. 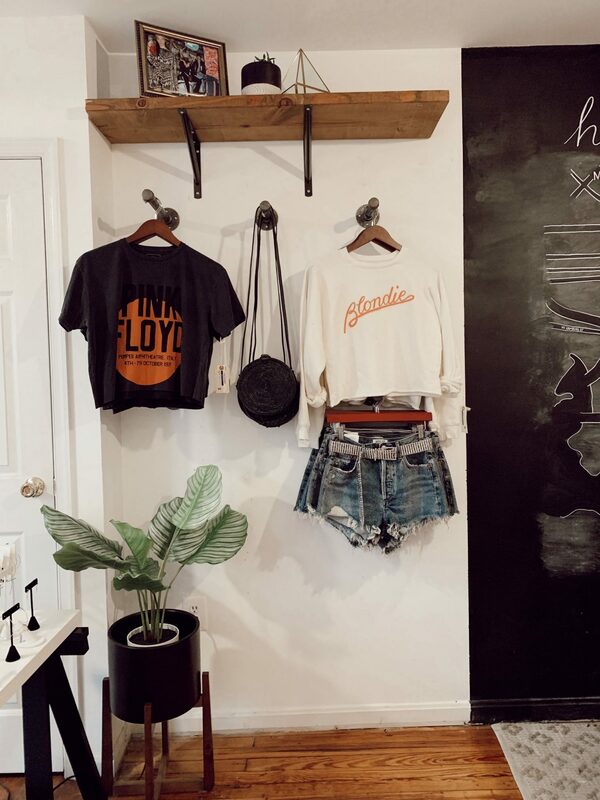 This tee and other amazing vintage tees can be found from Mint & Major via their website. 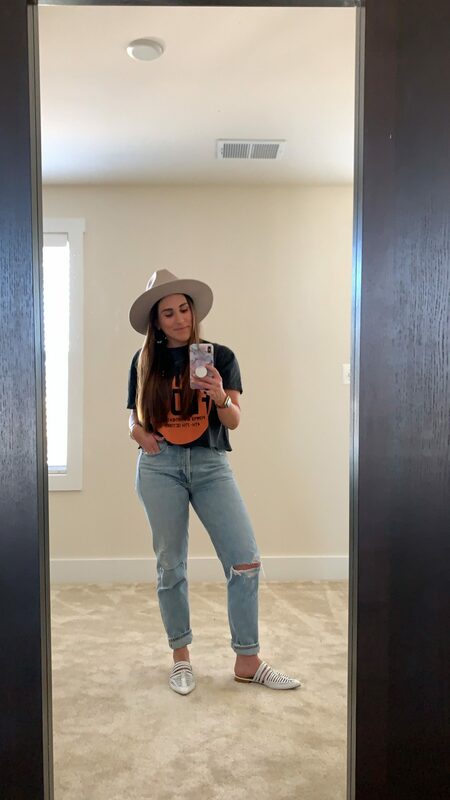 So tell me, what are you current closet staples? Any trend you are currently obsessing over? I’d love to hear below!